"When life is really busy, you need a little sugary boost to get your skating stride on top form. I always have little snacks in my mini back pack so I can eat on the go. Oh and of course a little bit of lipstick too so I look fresh and fun while I'm skating." "Snacks!! 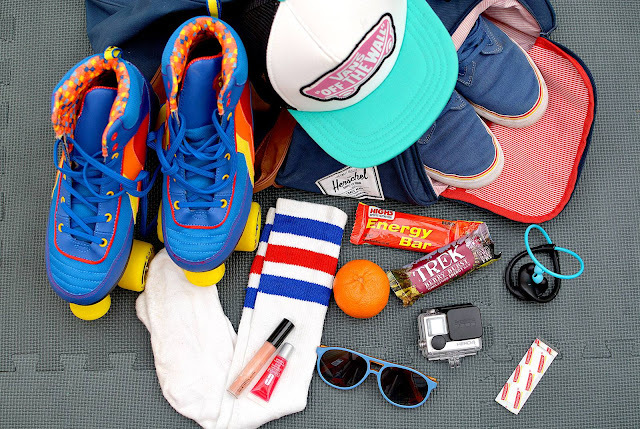 Fruits and cereal bars can always be found in my skate bag, along with many other snacks high in energy. Water - it's so important to keep hydrated when you skate, I often take 1-2 bottles of fresh water out with me. Spare socks & some flats - inexpensive flats are ideal to tuck away in your bag for when you are having to travel across fields to scope out a cool new place to skate. ...and it's never about wearing stinky skate socks in nice fresh shoes, so I always carry a pair of spare socks on me too." "I have a skating bag (bum bag!) which has my essentials, especially for the summer! Lip balm and sunglasses are now a must, along with a skate tool (for those wayward wheels!) and some of my favourite munchies to give me a sugar boost along the way." 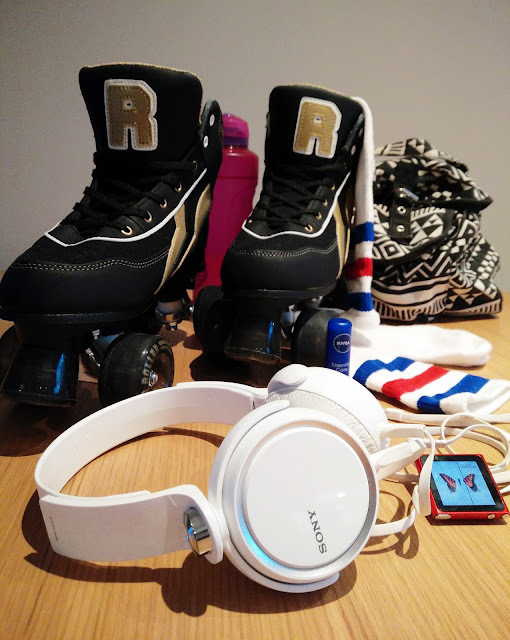 "I always have my tunes with me, there is nothing better than dancing down the street on skates and when you have the right song playing, a cloudy day can turn into the middle of summer! 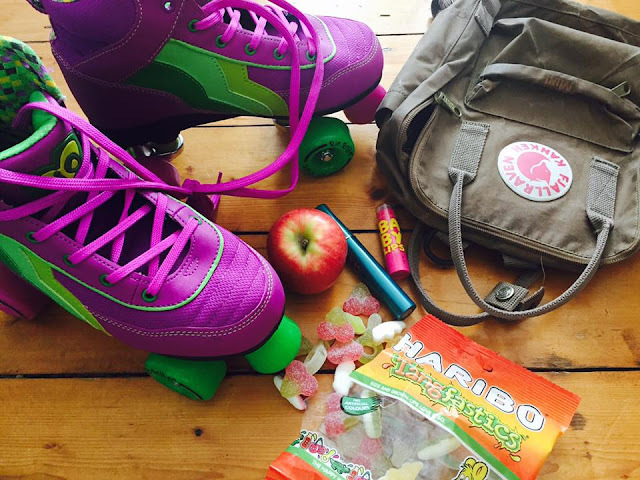 Lip balm and water are essentials too and you can’t beat some awesome stripy socks!" 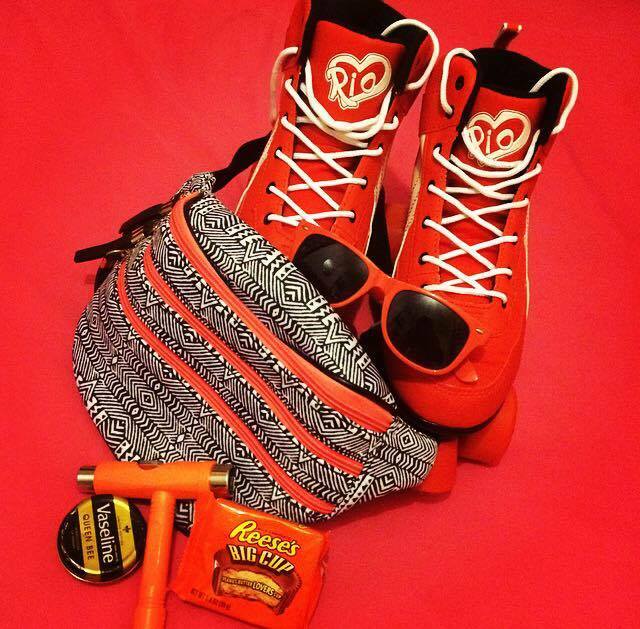 "I always pack too much, this is actually a watered down version of what I like to take with me on an outdoor skate! I love my gadgets so my GoPro is on hand to film the action whilst my wireless headphones keep me pumping with some tangle-free tunes. Cap, sunnies, stripy socks and gloss - because you've got to look good when you stack it! (Yep, that's what the plaster is for!)" 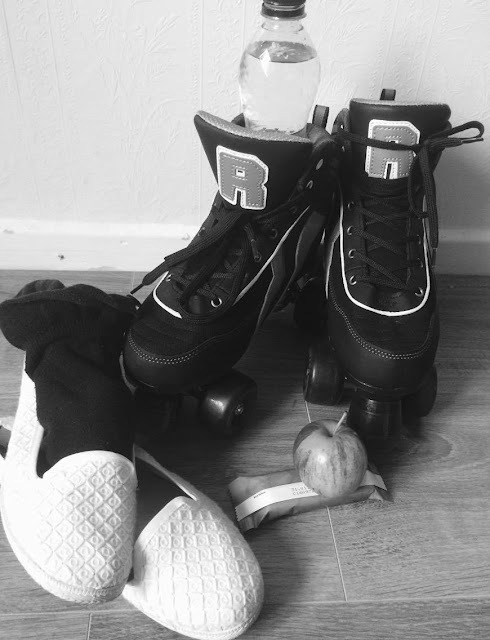 We are a team of ladies who love roller skating and fashion! 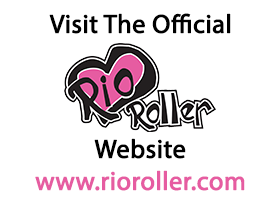 Officially sponsored by Rio Roller Skates - The Original Fashion Quad Skate Brand! © Rio Roller . Awesome Inc. theme. Powered by Blogger.